Did you know that you could easily make contributions of retirement plan distributions to the APF? Donations of this type are a great way to help animals in need. 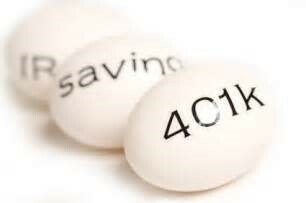 Many individuals have qualified retirement plans such as IRA or 401(k) plans. These assets have likely been growing tax-free for years. Once the owner begins to receive payments from the qualified plans, the distributions are taxed. When the owner passes, such plans will be included in the owner’s gross estate for purposes of Federal and State estate taxation. A retirement plan may be an ideal source of funds for making a gift to the APF. By giving these assets to the APF instead of to an individual, you may reduce the tax burden on your heirs. You may be able to help the homeless pets of our community and the APF in a substantial way by making a donation of appreciated stock. Since the APF is a qualified charitable organization and your donations can be deducted on your federal income tax return as an itemized deduction, you may want to consider donating appreciated stock from your investment portfolio. Many investors who bought individual stocks are very likely to own shares that have substantial unrealized gains this year. 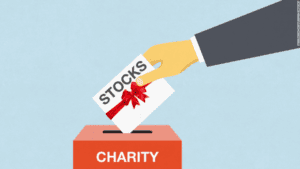 If an investor has held an appreciated stock or mutual fund for more than one year, they can donate those securities to a charity and receive a tax deduction for the fair market value of the securities AND eliminate any capital gains tax on the future sale of the securities. These rules create a “double play” of tax benefits: a charitable deduction AND avoiding tax on the unrealized capital gains of the donated property. Be mindful, however, that this will not work if the stock has not been held for more than a year. Please speak with your attorney, accountant, and tax advisor for additional information on how gifting appreciated securities can fit into your portfolio. If you are interested in making a gift of stock, please contact Executive Director Deb Balliet at (518) 374-3944 x110 or balliet@animalprotective.org. Legacy gifts reflect your values and commitment to providing for helpless animals who cannot take care of themselves. The APF Legacy Circle was established to recognize and honor individuals who have named the Animal Protective Foundation in their will or estate plan. By doing so, these compassionate supporters continue the legacy of providing care and comfort to animals in need. For more information, please call (518) 374-3944 x122 or email development@animalprotective.org. It costs you nothing to place a cute little dog house collection box in your business, yet spare change donated by your customers really adds up for the animals. Call (518) 374-3944 x114 to learn more. Hosting a fundraising event is a great way to help the animals in need. If you are interesting in hosting an event please complete the form below and email it to development@animalprotective.org. If your employer participates in one of the campaigns below, you can direct your contribution to the APF. If you have a donor-advised fund that participates in DAF Direct, you can donate directly to the APF here. The Animal Protective Foundation accepts donations of old jewelry – whether it’s a diamond ring or costume jewelry, your donations help save lives! You can bring or mail jewelry donations to the APF at 53 Maple Avenue in Glenville, NY. The Lazy Dog Cookie Co. of Ballston Spa gives back to help shelter pets. Order your favorite Lazy Dog Cookies online and use the code adoptAPF. You’ll save 15% and Lazy Dog will match the 15% with a donation to help our shelter pets. Shop now! Are you getting married but don’t need a whole lot of new stuff? You can create a donation registry to fundraise for your favorite organizations in lieu of, or in addition to, wedding gifts. Visit justgive.org to create your registry today! Evite.com is an online custom e-invitation company that offers an option to add a donate now button for your favorite charity. Evite can be used for weddings, birthdays, parties, or any type of special event. On the Edit Details page click Add Donations under the Special Features header and type Animal Protective Foundation into the text box and hit enter, our logo should appear once you have added us to your e-invite. Your guests can now donate to the APF simply by following the link provided on your invite.